A lot of my time this summer has been spent in editing, proofing and formatting an ebook for publication. The book was written by my wife, Jen, and I’m biased (and wise) enough to say that it really is the best careers book I’ve ever read. The book itself is written for young people to help them to discover their skills and talents. Being so close to my wife I know that she genuinely cares about young people and that she is passionate about helping them to succeed in whatever they do. What I have learnt through it all is that everyone has different skills and talents. These are sometimes the talents which people don’t get much credit for. Skills like caring for others, computing or a million other things. What Jen does in the book is to show young people that they really do have these talents and that they can succeed. There is just so much practical encouragement and care in her words. I can’t recommend this book highly enough for any young person or parent who wants the best for their teenager. 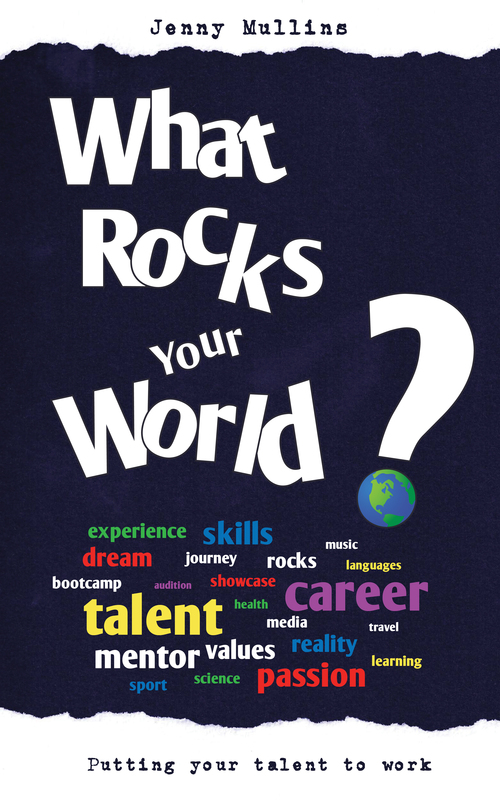 The book is called What Rocks Your World and is available for £3 on Amazon for Kindles or Kindle for PC (soon to be available on iTunes and other online stores). Take a look at it or check out the website www.whatrocksyourworld.com.